That call came from the stealth fighter’s pilot, dangling beneath a parachute, scanning bare Serbian farmscape, and talking into a PRC-112A, handheld, line-of-sight survival radio. It was a war in which Air Force Special Operations Forces played a pivotal role – as downed airmen found out. No one had ever shot down a stealth fighter before. No F-117 pilot had ever found himself in such a plight. The F-117 pilot, whose name is withheld here, was parachuting into enemy territory with an obsolete radio that might or might not reach friendly forces. Operation Allied Force, the 1999 battle for Kosovo – like wars before it – brought together the new and the old, the conventional and the unorthodox. It was a war in which Air Force Special Operations Forces played a pivotal role – as downed airmen found out. While the pilot of the high-tech stealth fighter descended in his chute, Capt. Jim Cardoso shifted from standing on alert to preparing to lead a rescue force of three helicopters. The two larger helicopters were Pave Lows, an MH-53M and a similar MH-53J model. 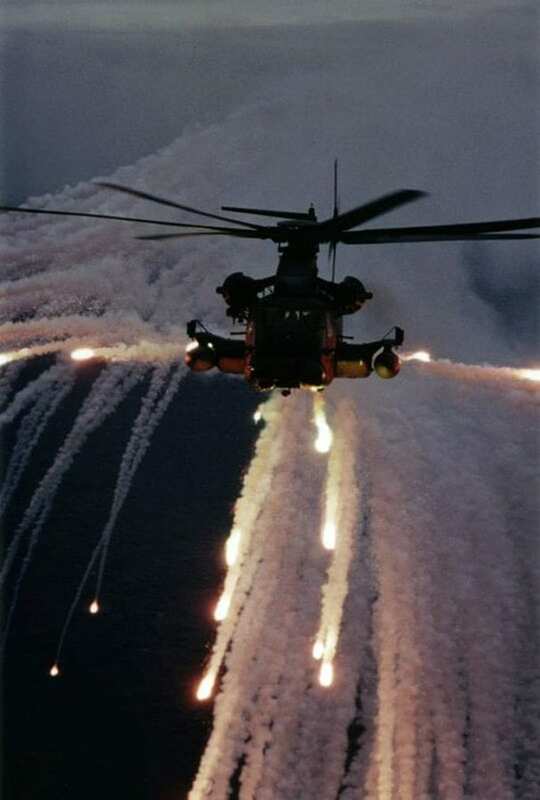 The Pave Low was a Vietnam-era airframe packed full of new equipment for night- and low-level operations, even in bad weather, but it was still very old. The third helicopter, an MH-60G, was smaller and newer, but some crewmembers considered it inadequate. The Air Force had considered buying a version with terrain-following radar but had purchased a no-frills model instead. “I was well acquainted with my risks and vulnerabilities,” the F-117 pilot said later. “I had flown in Operation Desert Storm in 1991 – 20 combat sorties, about the average for guys who were there for the whole war – so I had combat experience. “I took off from Aviano Air Base, Italy. I flew the F-117 to the target and dropped two 2,000-lb. laser-guided weapons on a very specific target in the Belgrade area. I came off the target 20 nautical miles northwest of Belgrade when it happened.” Neither the pilot nor the Air Force want to say more about how the Serbs bagged an F-117 except that the culprit was “an enemy missile system.” Two aircraft were shot down during the Kosovo campaign: The other was an F-16 Fighting Falcon, callsign Hammer 34, whose pilot was also rescued. Cardoso’s Pave Lows would fly cover for the MH-60G Pave Hawk, which would go in and make the pick-up, if possible, of Vega 31. “I ejected,” said the F-117 pilot. “My first thing to do was to inventory the condition of my parachute and my equipment. It was a 90 percent, almost full moon night. We were receiving a lot of illumination. I looked up at the canopy and thought it was a great, perfect – a fully inflated parachute. And my second thought was, ‘You gotta be kidding me,’ because it was an orange and white parachute glowing like a Chinese lantern out there in the middle of the night. Anybody down on the ground was certain to see me and track me visually as I floated downward, surrounded by all that light. The F-117 pilot spoke as calmly as he could into the radio: “I’m out of the aircraft,” he said. There was a procedure to help friendlies know this was the real thing. The F-117 pilot said those words, carefully. Air Force Special Operations Command, or AFSOC, was the “owner” of the helicopters. The Pave Low community had been operating in that part of the world for years. The Pave Low detachment was a mixture of aircraft and people from the 20th and 21st Special Operations Squadrons. The sole MH-60G belonged to the 55th Special Operations Squadron. All three units were based at Hurlburt Field, Fla., where AFSOC is headquartered. The Pave Low detachment was a mixture of aircraft and people from the 20th and 21st Special Operations Squadrons. Others were in the air, too. Most important were A-10 Warthog, or Sandy, aircraft that controlled the rescue scene. There was also a tanker, an airborne control ship, and several other aircraft in the area. The command arrangements that night were complicated. Lt. Col. Steve Laushine, 55th SOS commander, was aboard Cardoso’s Pave Low as the commander of the rescue helicopter force. Cardoso was the helicopter flight commander, which made him responsible for the actual flying of the three helicopters. Capt. 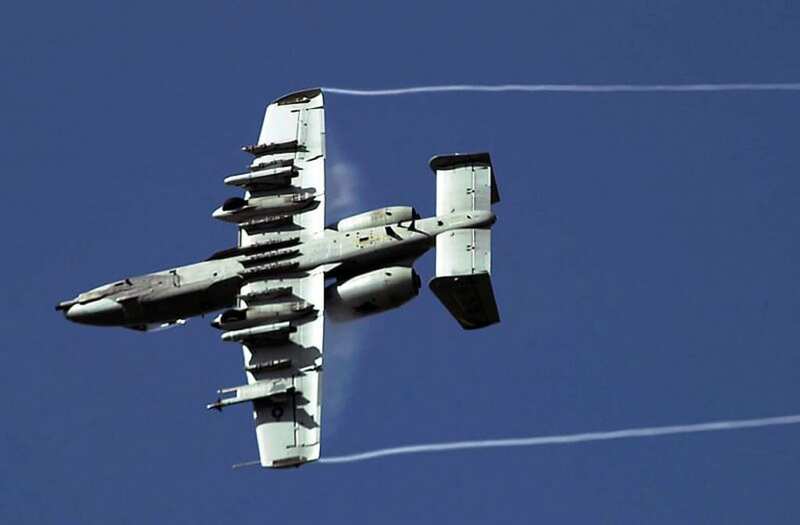 John Cherrey, pilot of the A-10, callsign Sandy 01, was the OSC, or on-scene commander, meaning he would survey the site of the possible rescue and determine what actions to take.